Davis Vantage Pro2 and Vantage Vue features help professionals and hobbyists measure, monitor, and manage weather data. Our stations are engineered to withstand scorching sun, corrosion, 200 mph (321 kmh) winds, temperature extremes, and more. We take great pride in offering a range of weather stations that are designed to provide the highest level of accuracy, reliability and ruggedness. 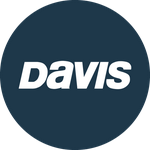 Whether you are a weather hobbyist or someone who relies on accurate weather data for farming, research or business, you will find a Davis weather station to meet your needs.